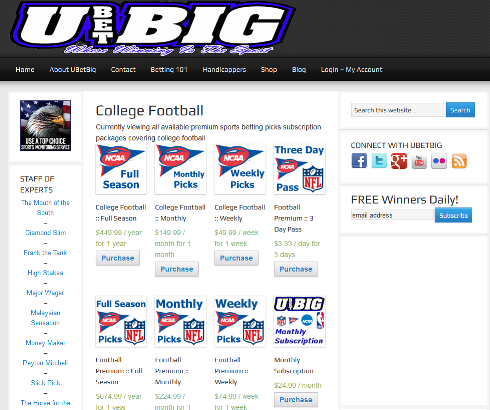 Today we’d like to announce a website that we developed that was soft launched back in September, UBetBig.com. 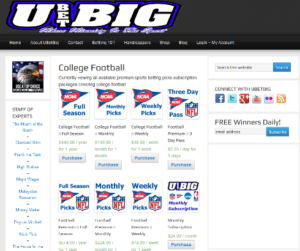 UBetBig was developed over the late summer months and features a subscription membership ecommerce set up for selling access to premium content on a daily, weekly and monthly basis. We soft launched the site at the beginning of football season and now it is really starting to gain traction and generate sales through enthusiastic social media marketing and timely content marketing on the blog. 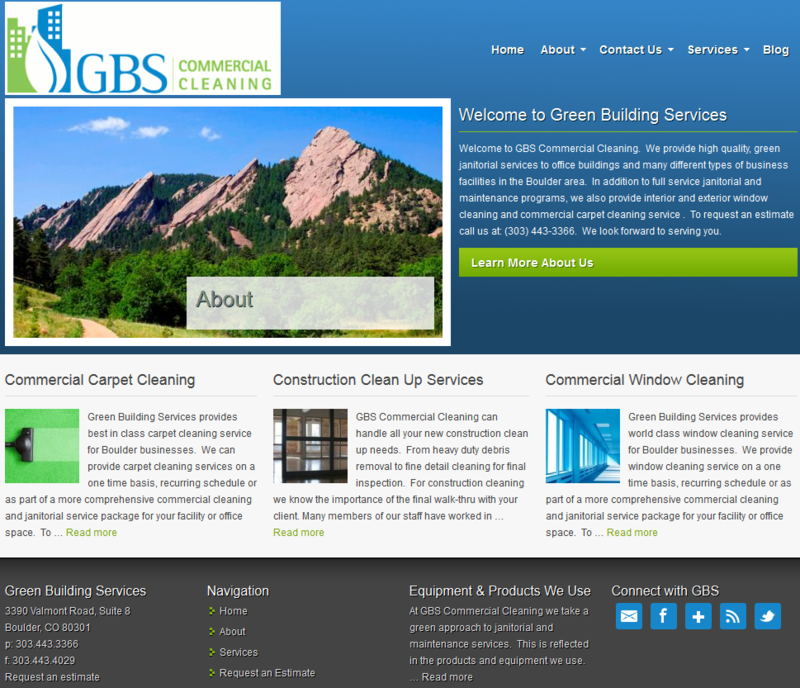 The website was developed on the WordPress platform using the Genesis framework. The site is running Woocommerce and Groups for the subscription membership functionality. Screenshot of one of the subscription product pages. If you’re looking to spruce up your existing website or do a complete redesign, then fill out the form to the right to schedule a free 30 minute consultation to see how Komodo Online Marketing can help. The website was developed on the WordPress platform using the Genesis framework. 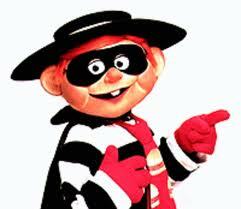 Franchise leads get stolen every day. We can show you how, and put a stop to it. High-quality franchise leads are the lifeblood of your business. Don’t let unauthorized websites steal your leads and dilute your franchise brand! Fill out the form to the right to schedule a free 30 minute consultation to discuss how we can help you put a stop to portal pirates and stolen leads. SEO Komodo is now Komodo Online Marketing. We have changed our name to reflect the wide range of online marketing and brand development services that we provide to our clients, as well as the comprehensive and customized approach that each client receives. Search engine optimization (SEO) is still, and will always be a core competency of ours. After all, driving the maximum amount of free search engine traffic to your site and owning the top ranking spots is one of the most effective and efficient methods to reach your online marketing goals. SEO is just a piece of the greater online marketing puzzle though. To have a successful online marketing campaign, companies should be using all the tools available. Fill out the form to the right get started today. Are you using Twitter Lists to keep up with your franchisees? Twitter Lists is a new feature Twitter recently rolled out that enables users to sort their favorite Twitter accounts into topically organized lists. As a Twitter user you can create any type of list from funny people to motor-sports personalities and everything in between. Lists add more value to the Twitter experience by allowing users to better organize information on Twitter. 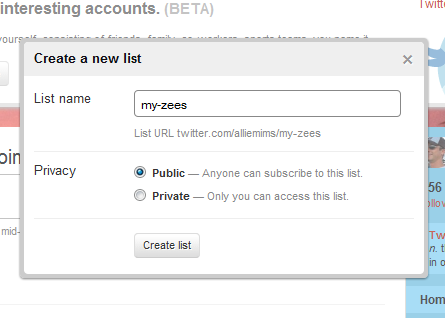 A Twitter List is public by default (but you can make it private) and it is linked from your account (i.e. twitter.com/username/listname). In this way, public Twitter Lists increase the discovery of unique and interesting Twitter accounts. Big brands such as Whole Foods use lists to raise awareness of their individual stores’ Twitter accounts. Whole Foods currently has 12 separate lists. One list contains all the stores’ Twitter accounts and the rest are broken down into geographic regions. This allows Twitter users to be able to quickly find Whole Foods stores’ accounts that are closest to them. It also allows Whole Foods to be able to see whats going on with all its stores’ Twitter accounts with just a few clicks. Franchisors can use lists in a similar fashion. Why should I create a Franchisee Twitter List? Once you create a list of your franchisees, you can see what all of them are up to with a single click. To create a list, click the “new list” link located in the sidebar of your twitter account. Give the list a name, the name you choose will be the URL for the list (ex. twitter.com/alliemims/my-zees). Then choose to make the list either public or private. You can always change this later. Then click Create list. Congratulations. You created a Twitter List, now we need to add your franchisees. If you only have a few franchisees currently using Twitter, then it may be easiest to simply enter their user-names in the search box. Otherwise, click the “following” link to go to your follow page. From here you can add each franchisee to your new list with just a couple of clicks. To the right of each franchisee account you will see two drop-down buttons. Click the list drop-down button and click the check box beside your franchisee list. Viola! Now that franchisee is in your Twitter List. Now just repeat the process with the rest of your franchisees’ accounts and you will have a complete Franchisee Twitter List. To access the list later, simply click on the list’s URL located in the sidebar of your Twitter account. Take a look at the list I made of Abrakadoodle franchise Twitter accounts. At this point I’d like to suggest that you periodically perform a search of Twitter to make sure that you are following all your franchisees as they join Twitter. Start by clicking the “Find People” link and enter your brand name. Click the follow button on each of the franchisee accounts that you aren’t currently following. TweetBeep is a helpful tool, not only for finding franchisees, but also for finding Twitter users who are fans of your brand, product, or service. TweetBeep allows you to keep track of conversations that mention your brand, your products, your services, anything, with hourly email updates. You can even keep track of who’s tweeting your website or blog, even if they use a shortened URL like bit.ly or is.gd. I hope this post helps you with managing your brand image and presence on Twitter. Do you use Lists in some other way to help market your franchise or small business on Twitter? Please share with us in the comment section. Well the big news of the day has been the big Microsoft-Yahoo Search deal that was announced this morning. All the search marketing blogs, tech blogs, news sites, and everyone else has been talking about it. With the avalanche of deal information and opinion out there, we thought we’d wade through the content and post some links to the stories and posts we found to be the most interesting. Before we get to the round-up list, let’s quickly go over the basics of the deal. The term of the agreement is 10 years. The agreement protects consumer privacy by limiting the data shared between the companies to the minimum necessary to operate and improve the combined search platform, and restricts the use of search data shared between the companies. The agreement maintains the industry-leading privacy practices that each company follows today. It is important to note, that the integration of Bing and Yahoo core search could take up to 24 months to complete. So this isn’t going to turn your SEO campaign on it’s head overnight, but it is important to keep tabs on the merger over the coming months and begin to develop a strategy to address the new, more important Bing search. Feel free to add links to other interesting opinions about the deal in the comments section. Komodo Links is our only post for this week, but its full of quality links for any small business owner looking to grow their business online. Nick Berliner posted five more solid tips to help you connect with local customers through your website. To read the first five tips, click here. So what makes a great company blog? Check out Mack Collier’s series of posts at Search Engine Guide for some solid insight. All four are definitely worth reading. 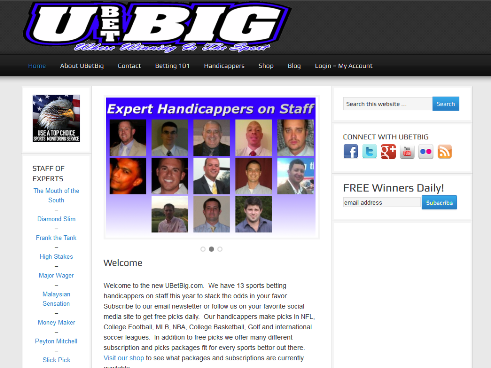 On a related note, we are in the process of overhauling and upgrading our blog. The final product won’t be ready for a few more weeks, but we’ll keep you posted. ZDNet has an interesting post about a newly-launched site called blogs.pi.edu. For the low low price of $50, you can have your own blog with a .edu domain. This has bad idea written all over it. This week’s Komodo Links is all about variety. Everything from US law and websites to widgets and the semantic web. Check out the links and have a great weekend. Greg Howlett wrote an interesting post over at Marketing Pilgrim about online retailer’s approach to social marketing and widgets. Take a look at the widgets we developed for Abrakadoodle. Nick Berliner posted 5 tips for locally focused websites to connect to local customers. The five tips are basically 5 best practices that all locally focused websites should follow. The CNET News Blog has a great post regarding some interesting legal cases and decisions that could have wide ranging affects on website operators’ broad legal shield from lawsuits. The Economist has an informative article about some promising software services and initiatives to help online content publishers mark up their web pages for the semantic web. Over the past year Google, Yahoo, and MSN/Live have launched versions of blended search. The iProspect study revealed that search engine users click on news, image, and video results in blended search results more than they click on results in a vertical only search such as Google News or Google Image search. We’ve got a short edition of Komodo Links this week. Two posts from the Google Webmaster Central Blog and a humorous post from Techdirt regarding companies EULAs. The Google Webmaster Central Blog had an interesting post from earlier this week about taking advantage of universal search. The post has some good tips for small businesses to make the most of local search, video search, image search, and personalized search basics. Google Webmaster Central also launched a Robots.txt Generator available in Webmaster Tools. Read all about it at the Webmaster Central Blog. Techdirt has a humorous post about how companies don’t even read their own EULAs. The post includes some funny examples.